Tips to help you build a successful blog or biz! 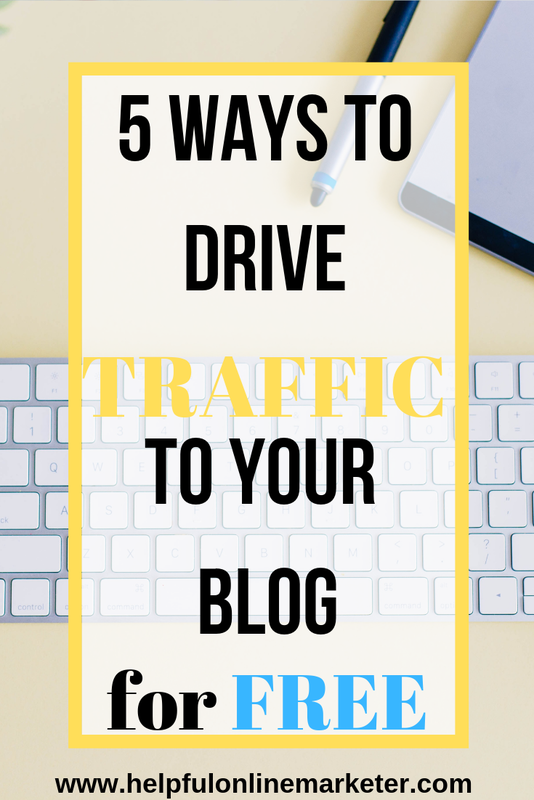 Driving traffic to your blog is a big concern for new Bloggers. Especially when you don't have the money to pay for ads. 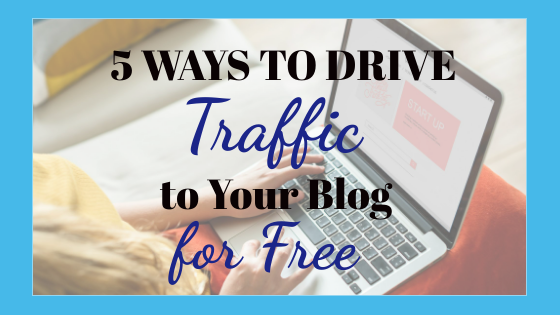 Traffic doesn't just come when you publish a blog post. I learned this the hard way myself for my blog. Believe it or not, this blog was not my first blog. I deleted a few blogs I built in the past because I was not getting traffic. I didn't know the tricks to get free traffic back then. * This post contains affiliate links, which means I will make a commission at no extra cost to you should you click through and make a purchase. When I launched my blog I had no clue you could use Facebook groups for business or blogging. On top of that, I had no idea just how many there are. I did not know the difference between them. I didn't know that each one has different rules, and goals. Some are just for advice. Meaning that you aren't allowed to promote your blog or social media. They are just for asking questions and giving advice. You can learn a lot from those types of Facebook groups. If you are just starting out and have no clue who to turn to for advice join a blog support FB group. You can ask many questions as you need to. Then there are others that allow you to promote your blog, social media accounts, services, and even affiliate links. Those are the groups where you can get free traffic from. The admins of the groups will post threads that will say something like "Facebook Friday. Share your links to your FB pages below. Be sure to like at least one FB page". You have to follow the thread rules. If you don't you will get kicked out of the group. Here are a few of the FB groups I recommend for bloggers: Becoming a Blogger and Blogging for New Bloggers. There are many bloggers who don't know about this method. I discovered this myself by accident. I was following another blogger on Twitter. That blogger liked or retweeted a tweet from a blog RT account. I checked out the account to see what it was about. From there I discovered that there are Twitter Blog RT Accounts. They work basically like FB groups. Their goal is to help bloggers promote their blogs, posts, and social media accounts. How they work is you follow them on Twitter. They will tweet something like, "Instagram Sunday. RT this tweet, post your Instagram link in the replies, and follow other accounts." You basically do what the tweet says. You do have to follow the blog RT account first. You can't participate in the tweet without following them. Here are a few of the blog rt accounts I recommend: All Those Blogs and Fierce Bloggers. I know there are a lot of conflicting opinions in the blogging community about Pinterest groups. Some say they are out. Others highly recommend them. In my opinion, the RIGHT Pinterest group can increase the organic reach of your pins. This is what I figured out about Pinterest groups. If they have a rule that states you must repin a pin from the group in order to post your pin then you should join that group. It means that the members of that group HAVE to share other people's pins. Not just post their own and leave. You HAVE to join Pinterest groups relevant to your blog niche. Do not join free for all Pinterest groups. Those are the groups that are filled with any kind of pins. Like pins that are just regular pictures of furniture or food. So if you are writing a post about making money online then join a Pinterest group about making money online or home. Those members will be more interested in your pin. Thus more likely to repin it to one of their boards. This is what I did for one of my pins. I wrote a blog post called Why You Should Start Affiliate Marketing. This post wasn't doing well in my FB groups or on Twitter. I got discouraged at first. Then I decided to make a pin for it and post it to Pinterest. I pinned it to a Pinterest group for making money online. That's when I started seeing results for the post. If you have no clue on how to find Pinterest groups to join Lady Boss Studio put together a list of Pinterest groups to join. Sign up for her FREEBIE library to get it: click here! Just like with Pinterest groups some people say Tailwind Tribes don't work. Others say they do. In my opinion you won't really know unless you give it a try yourself. I definitely use Tailwind Tribes because I am a beginner blogger. I need all the free organic reach I can get. It doesn't cost anything to try Tailwind Tribes. Under Tailwind's free trail you can join up to 5 tribes. If it doesn't cost anything why not try it? You don't even have to sign up for Tailwind in order to try tribes. There are a lot of benefits to using tribes that you can't get from Pinterest groups. For example the number rule in every tribe is a pin for a pin. It's mandatory that each tribe member repin someone else's pin whenever they add theirs. Admins can see how many pins you have shared or repined. You can see too. When you join Tailwind shows you how many of your pins you have added to the tribe and how many pins you shared. That means your chances of getting your pins repined are a lot better than in groups. Tailwind Tribes are also a great way to see which pins appeal to your audience. If your pins do get shared Tailwind will let you know. You can create your own tribe too. Plus send messages to other tribe mates. 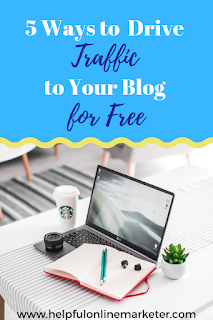 Having your own email list is a great way to drive traffic to your blog. It doesn't cost anything. You can use free email services like mailerlite or MailChimp. You can send your subscribers an email letting them know that your new post is published. According to WordStream email subscribers are 3x more likely to share content on social media than leads who came through another channel. ConvertKit states that in order to have an engaged email list who expects to hear from you each week you have to get active with them. 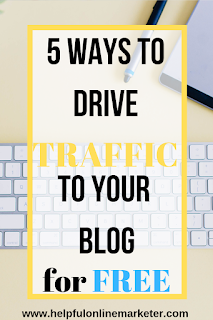 In order to get traffic to your blog from your email list you have to stay engaged with your subscribers. Don't just send them one email every other week. They will forget who you are by then and unsubscribe. More engaged subscribers means that they will read your emails. Let me put it another way. I have yet to see a popular successful blogger that doesn't have an email list. I have heard so many say that their blogs didn't really take off until they started their email list. 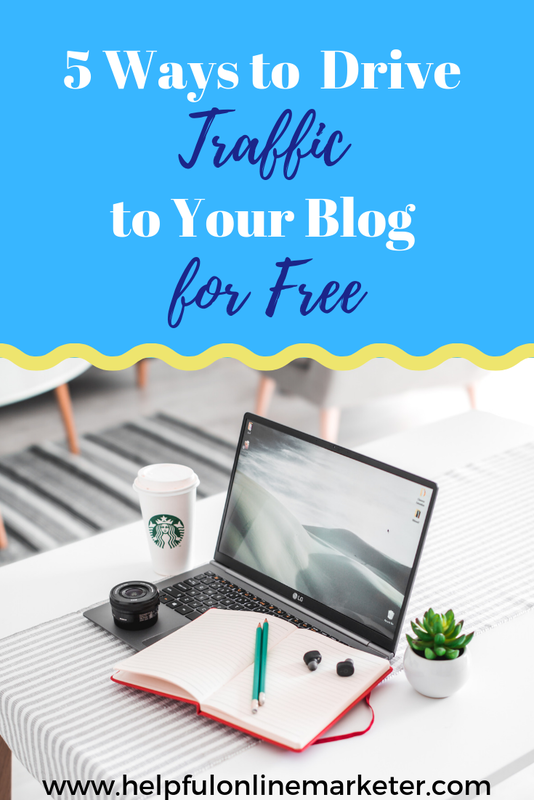 These methods can work for new bloggers and experienced ones. In fact I still see bloggers who have5 ways to drive traffic to your blog. 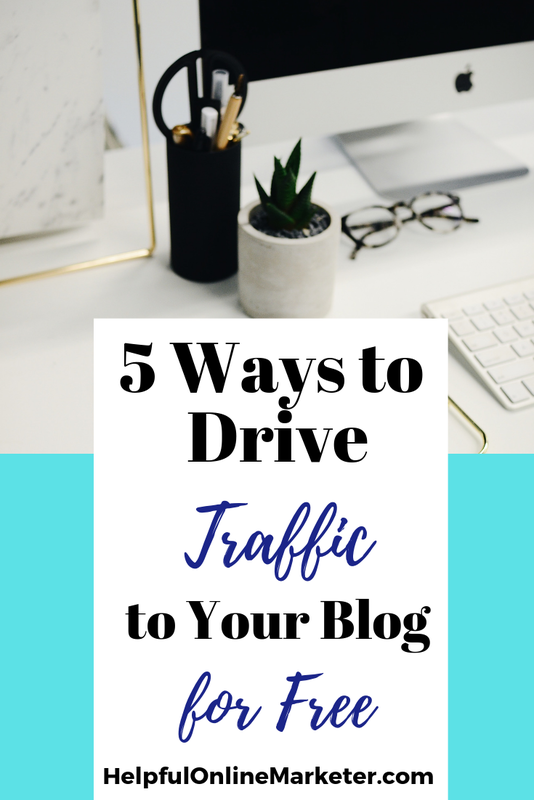 If you have any tips on how to drive traffic to your blog let us know in the comments below. If you like my post please pin it to Pinterest. Until next time take care! We welcome relevant and respectful comments. Comments that are off-topic, spam or rude will be removed.